Nestled in the rural in-betweens of Peterborough and Belleville, Ontario, Brandon Scott (lead vocals/acoustic guitar) calls Brighton, population 4,800, home. Drummer Doug Oliver is from nearby Hastings and its 1,200 population. Josh Lester (guitar/vocals) and Justin Lester (bass/vocals), the sons of bluegrass master Emory Lester, hail from the outskirts of Frankford, population 2,500. Lead guitarist Trevor MacLeod, the relative city slicker in the group, is originally from Stratford, Ontario, population 30,000. Band members literally cross Cold Creek to get to each other’s homes. "I'm a small town guy and I love it," says Oliver. "Because I've been here so much and my community has been so supportive, everyone is loving and small towns have that I've-got-your-back vibe no matter what." "Our Town", the first single from the band’s debut release, is a rousing sing-along that celebrates what happens when everyone in town lets loose on Friday night. "Our Town", Cold Creek County's (“) debut single was produced by Scott Cooke (Chase Rice, assistant engineer on Florida Georgia Line, Jake Owen, Dallas Smith) and co –produced by Oliver, who also co-manages the band with Chief, the titular head of Chief Music (Florida-Georgia Line, Dallas Smith, Chris Lane and Joey Moi). Chief believes Cold Creek County, who've already opened for the likes of Emerson Drive, Kira Isabella and Jason Blain in their short time together, have what it takes to touch country fans, be they from small towns or big cities. "Cold Creek County is a band that has all the pieces to the puzzle to succeed," he says. "They're great people with a great drive. They can play, sing and write music that is current and relevant to the country world and their dedication to putting on an amazing live show will surely transform into a large fan base that will follow and love this band." Cold Creek County deliver a powerful, dynamic sound that's already captured a sizeable fan base. Being heavily influenced by Country and Rock, the band brings both worlds together in a way that’s sure to get your feet stomping. 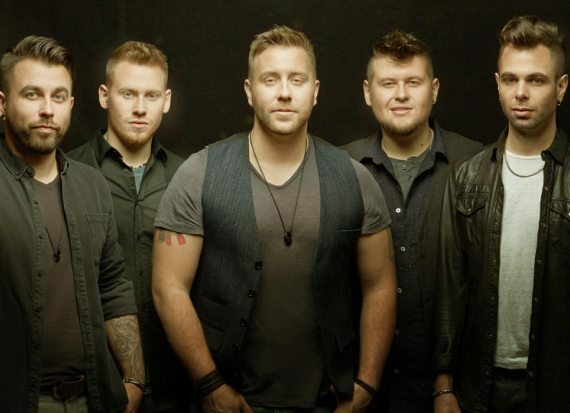 Cold Creek County spent 2014 honing their sound and performances winning Country Group of the Year at the 2014 Wire Awards and opening for country stars including Dallas Smith, Emerson Drive, Kira Isabella and Jason Blain. Watch for Cold Creek County’s debut release on Sony Music Entertainment Canada Inc. coming this fall.